July 23, 2018 - U.S. Army Reserve noncommissioned officers challenged the physical courage of Army Reserve Officers’ Training Corps cadets on the 70-foot rappel tower at the U.S. Army’s Advanced Camp at Fort Knox, Kentucky, July 13. July 17, 2018 - Through dirt and sweat, squads of Reserve Officers’ Training Corps cadets overcame physical and mental obstacles to test their leadership and teamwork abilities at the Field Leaders Reaction Course at Fort Knox, Kentucky. June 26, 2018 - A good story keeps the reader’s interest. A great story makes the reader feel or act. Regardless of the format—pictures, videos or articles—stories have the power to freeze time and capture a moment of history that can never be recreated. June 26, 2018 - Soldiers from across the U.S. Army Reserve bring a unique set of skills to the Army, as they not only serve their country but they also have a civilian lifestyle and occupations that mirror their military skills. June 15, 2018 - The U.S. Army Reserve Best Warrior urban assault course not only challenged competitors physically and mentally, but it also served as a morale booster during the 2018 Best Warrior Competition at Fort Bragg, North Carolina. June 13, 2018 - When most people think of drill sergeants, they think of disciplined instructors, intimidating stares and squared-away, by-the-book Soldiers. While these rigid images may all be true, it is only one side of the iconic job in today’s Army Reserve. June 12, 2018 - This year, top performers in America’s Ready Reserve have a special opportunity to earn the German Armed Forces Proficiency Badge while participating in the 2018 U.S. Army Reserve Best Warrior Competition at Fort Bragg, North Carolina. April 4, 2018 - Juggling the responsibilities of both a civilian career and a military career just got a little tougher—and more rewarding—for Army Reserve 1st Sgt. Lorraine Smith. The former drill sergeant, who is now a first sergeant for Headquarters and Headquarters Company, 98th Training Division (Initial Entry Training), just became the Chief Executive Officer for the Monroe County Hospital, a Navicent Health Partner, and attributes the new promotion to some skills learned while in uniform and on the trail. April 3, 2018 - U.S. Army Reserve Soldiers don't always get the opportunity to go to the weapons range. However, a few Citizen-Soldiers took it upon themselves to not only go to the range, but to compete in several marksmanship matches all for the sake of advancing their skills. Dec. 1, 2017 - When U.S. Army Soldiers deploy, there’s more to getting ready than simply packing bags and cutting orders. From family care plans and financial paperwork, to issuing equipment and protective gear, the staff at the Continental United States Replacement Center help prepare all those who are deploying. Nov. 6, 2017 - Lt. Col. Karl Painter and Command Sgt. Maj. Johnathan Bentley transferred the authority of Task Force Marshall to Lt. Col. Travis Quesenberry and Command Sgt. Maj. Thomas K. Watts in a ceremony Oct. 30 at Camp McCrady in Eastover, S.C.
Sept. 18, 2017 - Fishermen, joggers and bikers turned their heads as they watched a group of Soldiers march by wearing gas masks, carrying 40-pound rucks on their shoulders. Aug. 28, 2017 - U.S. Army Reserve Chaplain (Maj.) Christopher Laughlin, a 108th Training Command chaplain, understands the influence chaplains have on Soldiers. Aug. 7, 2017 - Hi-yah! An Army Reserve Soldier teaches incoming cadets from the United States Military Academy at West Point, New York to always karate chop the safety on the M240B machine gun. Aug. 7, 2017 - Coral-red dust billows up and rests on several brand-new pairs of brown leather boots as a crowd of new recruits at Fort Jackson, S.C. shuffle into a formation on the Omaha Beach team live-fire range. July 10, 2017 - Qualified and experienced U.S. Army Reserve Soldiers are in high demand as America’s highly sophisticated, lethal, full-spectrum Army Reserve evolves to take on a greater role supporting the demands of the active duty Army. June 26, 2017 - Fort Leonard Wood and the 3rd Chemical Brigade activated the 2nd Battalion, 48th Infantry Regiment in a ceremony Friday on Gammon Field. June 5, 2017 - The drill sergeants trained Navy individual augmentees in basic combat skills and serve as an essential part of Task Force Marshall’s mission. Their objectives are to train Ready and Available Joint Service Warriors to augment deploying unit’s missions. June 5, 2017 - Dawn had not yet broken. A group of exhausted noncommissioned officers gathered near Hilton Field on Fort Jackson, South Carolina. They shared some light chatter, but the eyes of the NCOs spoke much louder. May 31, 2017 - She joined the Army because she didn’t have anything to do and could not afford to go to college. Now, looking back on 43 years, that decision gave her a career, but also amazing friends and mentors, a loving family and even, a Legion of Merit. May 31, 2017 - Most people want to avoid courtrooms, thinking of them in a negative light. But for one Army Reserve Soldier, the courtroom is a second home and the place where he serves his country. May 31, 2017 - Over 100 veterans gathered together for a 98th Training Division (Initial Entry Training) Alumni Luncheon on April 20, 2017. March 29, 2017 - Few of the sixteen million Americans that joined allies across the globe remain to tell the tale of World War II. William Dellinger, a 96-year-old veteran and native of Charlotte, North Carolina, was among those who served and sacrificed for their country and loved ones. March 20, 2017 - Earning the title of drill sergeant is an accomplishment not all Soldiers can achieve. However, Army Reserve Soldier, Staff Sgt. Briana Popp, did just that and more. March 20, 2017 - The drill sergeant hat is an icon in the Army that creates vivid images. When people see a Soldier wearing it, they immediately feel respect because they know it is a job that is earned, not given. March 20, 2017 - Life can be full of stress that is unavoidable. From the irritation of dealing with road-raging drivers to the anxiety of coping with Post-Traumatic Stress Syndrome, it can be a lot to handle. Nov. 18, 2016 - Throughout its 240-year history, the United States has been known as the Great American Melting Pot. With a diverse population of more than 320 million, its citizens represent just about every nation and culture on the planet. And its Military is no different. Sept. 15, 2016 - Today, four students received their oath of office at George Mason University and accepted their ROTC Minuteman Scholarship to attend school full time. Sept. 12, 2016 - September 11th is a day of remembrance for many. For one Army Reservist, it is now also a day of honor and new beginnings. Sept. 6, 2016 - Three I Corps officers with a combined 70 years of experience as Army aviators spent an afternoon with one of the last OH-58D Kiowa Warriors still on active duty – a helicopter each man spent countless hours behind the controls of. Aug. 29, 2016 - Drill sergeants of the 1st Battalion, 518th Regiment, 98th Training Division, are currently in charge of 214 recruits as they conduct a cycle of basic combat training in support of the Foxtrot Company Mission from Aug. 10 – Oct. 27, 2016 as part of the U.S. Army Reserve. Aug. 24, 2016 - ‘Rapid dominance’ was a concept adapted as doctrine first authored by Harlan K. Ullman and James P. Wade of the United States’ National Defense University in 1996. Aug. 24, 2016 - Army Reserve Soldiers with the 3297th United States Army Hospital, Army Reserve Medical Command, gathered one last time at its battalion headquarters in Charlotte, North Carolina, as the colors were cased during a deactivation ceremony here, Aug. 20. Aug. 15, 2016 - Close to 70 Military Science Instructors from 150 Universities spread throughout 26 states came together at Joint Base Lewis McChord, Washington, Aug. 6 for a Senior Leader seminar hosted by the 104th Training Division’s 4th Battalion, 414th Regiment (SROTC). Aug. 15, 2016 - The 108th Training Command (IET) honored Maj. Gen. David W. Puster for completing more than 30 years of military service with a retirement ceremony held Aug. 13 at it's command headquarters in Charlotte, North Carolina. The ceremony, which is traditionally held outdoors, took place in the command's drill hall due to sweltering temperatures outside. July 27, 2016 - “He said ‘set.’ it’s your turn to move, right?” A Cadet nods. July 25, 2016 - All the while, their instructors, Army drill sergeant, Staff Sgt. Jack Lee, Fox Company, 1st Battalion, 34th Infantry Regiment, 165th Infantry Brigade and Army Reserve drill sergeant, Sgt. Leah Anderson of Company D, 518th Battalion, 2nd Headquarters Brigade, 98th Training Division (Initial Entry Training) watch the events unfold, leaving everything in the hands of the BCT Soldiers as they go through their FTX facing these challenges and more. July 18, 2016 - Soldiers in basic combat training with Company B, 2nd Battalion, 60th Infantry Regiment at Fort Jackson, South Carolina braved the stifling summer heat working on the fundamentals of marksmanship on the zero range, July 14. July 11, 2016 - “This is my obstacle,” a sergeant states with his emphasis on ownership to a herd of eager Cadet Initial Entry Training (CIET) candidates approaching the third obstacle on the Field Leaders Reaction Course (FLRC) nestled deep in the Kentucky woods. June 28, 2016 - Eight Soldiers from the Army Reserve’s 108th Training Command (IET) became the latest members of the U.S. Army’s elite training corps, the Drill Sergeant corps, at a ceremony hosted by the U.S. Army Drill Sergeant Academy at Fort Jackson’s Post Theater, June 22. June 27, 2016 - Brig. Gen. Tammy Smith relinquished command of the 98th Training Division (Initial Entry Training) during a ceremony at Brave Rifles Parade Field on June 26 at 10:30 a.m. Smith, who took command of the Army Reserve division headquartered at Fort Benning in November of 2015, exercised command and control of four brigades located throughout twelve states in the eastern U.S. as well as Puerto Rico. June 16, 2016 - Army Reserve Soldiers and the U.S. Army Cadet Command work together to train the Army’s future leaders during two training opportunities this summer with annual Cadet Summer Training. June 10, 2016 - Since 1973, new recruits in what is now called Basic Combat Training at Fort Jackson, South Carolina have been challenging and conquering the 40-foot monster known as Victory Tower in their first week of training. April 26, 2016 - The Army’s Reserve Officers' Training Corps, or ROTC, as we know it was officially established by President Woodrow Wilson with the signing of the National Defense Act of 1916. April 20, 2016 - One by one, boot by bloodied boot, warrior after warrior came across the finish line: body heat escaping their sweat drenched clothing in the form of steam against the cold of an early spring morning. April 19, 2016 - Army Reserve Brig. Gen. Andrew Bassford became the twentieth commander of the 95th Training Division (Initial Entry Training), headquartered at the Armed Forces Reserve Center here on Apr. 16. Bassford assumed the leadership role from Brig. Gen. Daniel Christian, who served as the 95th's commander since December 2013. Maj. Gen. Mark T. McQueen, Commander of the 108th Training Command (IET), presided over the change of command ceremony held at the 95th Adjutant General Battalion. April 15, 2016 - This year college campuses all across the country are celebrating the 100th anniversary of the Reserve Officers’ Training Corps (ROTC) program and North Carolina A&T State University is no exception. April 11, 2016 - Non-Commissioned Officers are known as the backbone of the Army. They are master trainers; passing on lessons learned in combat as well as their years of experience to the Soldiers entrusted to them. It’s a mission they carry out with true dedication to all those entrusted to their care. April 11, 2016 - Rain subsided, the temperature plummeted and jubilation turned to determination as teams of Military Cadets made their way to historic Washington Hall for the start of the 2016 Sandhurst competition held on the United States Military Academy campus at West Point, New York, April 8-9. April 4, 2016 - God, family and country is not just a phrase. It has been a way of life for one Army Reserve Soldier that all started at an early age. March 29, 2016 - Citizen-Soldiers have been around in some form or another for generations. Since the onset of the Civil War, everyday citizens have put on a uniform to defend their homeland and though their names, uniforms and missions have changed over the years, one thing has remained the same – their passion for their country. March 28, 2016 - Drill sergeants, non-commissioned officers (NCOs), and junior enlisted Soldiers from battalions all across the U.S. Army Reserve’s 108th Training Command (IET) rallied to compete for the titles of Drill Sergeant of the Year, Soldier of the Year, and NCO of the Year at the 2016 Best Warrior competition held at Fort Jackson, South Carolina, March 20-25th. March 22, 2016 - A new partnership was signed into effect between the Army Reserve’s Private Public Partnership Office (P3O) and American Corporate Partners’ (ACP) Women’s Veteran Mentoring Program, March 21, at the Pentagon. Feb. 25, 2016 - In a long-awaited presentation, Feb. 7, 2016, the Army awarded the Purple Heart Medal to an Iraqi Freedom veteran for a concussion and traumatic brain injury sustained 10 years earlier. Sgt. 1st Class Joshua Clark, a native of Elkhart, Indiana, then a sergeant, was assigned to first Platoon, Charlie Company, 1st Battalion, 187th Infantry Regiment, 101st Airborne Division in Fort Campbell, Kentucky and deployed to Iraq in 2006. Feb. 22, 2016 - Ten drill sergeants and prospective drill sergeants from the 98th Training Div. (IET) spent an unseasonably warm winter day in Asheville, North Carolina, teaching basic Army Warrior Tasks to close to 40 future Soldiers, Feb. 20, 2016. Feb. 19, 2016 - Facing a wind chill below freezing, Soldiers in basic combat training with C Company, 1st Battalion, 61st Infantry Regiment at Fort Jackson, South Carolina, had their skills and resiliency challenged at Victory Forge, Feb. 9-12, 2016. Feb. 19, 2016 - As one looks upon the site of the Battle of Guilford Courthouse, the first impression on the senses is how quiet and peaceful the park is. For the Soldiers of the 108th Training Command (Initial Entry Training), the entrance to the park on the cold, brisk morning of Feb. 6, 2016, gave little indication that it was once the site of one of the most bloody and pivotal battles of the Revolutionary War. Feb. 16, 2016 - Facing a wind chill below freezing, Soldiers in basic combat training with C Company, 1st Battalion, 61st Infantry Regiment at Fort Jackson, South Carolina, had their skills and resiliency challenged at Victory Forge, Feb. 9-12, 2016. Feb. 8, 2016 - The Clemson Tigers football team went into their home game against Wake Forest Nov. 21 undefeated and ranked number one in the nation, but for a few moments before kickoff all attention was turned away from the field, and onto a dapper 98 year-old gentleman sitting amid a crowd of news cameras and admirers at the foot of the Memorial Stadium flagpole, which was being permanently dedicated to him. Feb. 8, 2016 - U.S. Army Reserve Officers' Training Corps cadets were tested on their stamina and personal courage with the Combat Water Survival Test at Clemson University Thursday. Jan. 19, 2016 - True success can only be achieved through teamwork and collaboration. That has been the fundamental driving force behind business and organizations for centuries and it is no different for the Army today. Dec. 31, 2015 - A lot can be said for first impressions. When I first met Staff Sgt. Russell Vidler at a pit in Fort Huachuca, Arizona, during the 108th Training Command’s combined Best Warrior and Drill Sergeant of the Year competition, he struck me as the kind of Soldier who will stop at nothing to get the job done. Dec. 8, 2015 - How do you envision your drill sergeant? As a stern, totalitarian figure; barking out orders with an inaudible loud snarl, ready to pounce on your every misstep. Nov. 30, 2015 - The United States Military coined it. The Army’s Drill Sergeant Academy lives it. Nov. 23, 2015 - The ball bounced slightly as it made its way toward Staff Sgt. Gretta Smith who at just the right time connects with her right foot, sending it sailing through the air. Immediately, she's off, sprinting her way to first base only to be denied by a teammate who handily catches the ball. With that, everyone on the team breaks out in smiles and laughter and the next player moves into kicking position. Nov. 15, 2015 - A family with over four decades of service to our country marked an important milestone on Oct. 18, when Capt. Mark Williams, one of three men in his family who have served or are continuing to serve our country was promoted to the rank of major by his father, retired Brig. Gen. Blake Williams. Nov. 7, 2015 - One … Two … Two …“Do them correctly and they will start counting! All the way up, all the way down!” barked Sgt. 1st Class Russ Hansen, Echo Company, 485th Infantry Regiment, 98th Training Division. 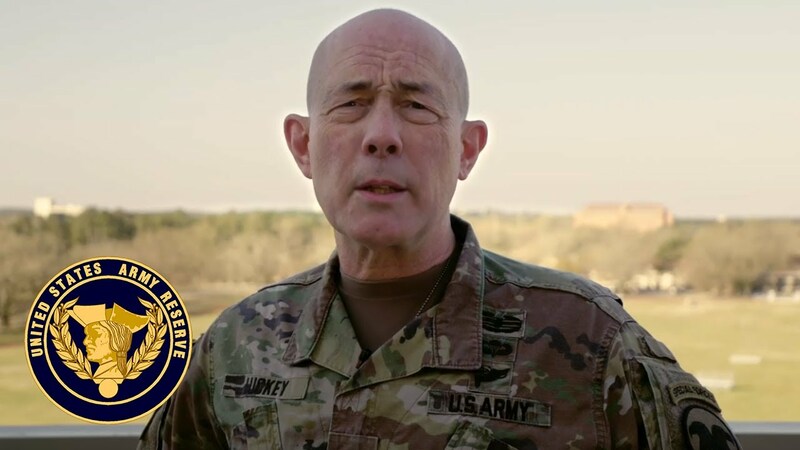 Nov. 5, 2015 - In recent comments at the annual meeting of the Association of the United States Army, Gen. Mark Milley, Chief of Staff of the Army, took the time to reinforce his top three priorities for the Army. "Readiness is my number one priority," Milley said. "And as long as I'm Chief of Staff of the Army there's not going to be another one." That said, it appears the Army Reserve took that priority to heart. Oct. 27, 2015 - Twenty drill sergeants, prospective drill sergeants, and officers from the Army Reserve’s 108th Training Command (IET) traveled to Clemson University and spent a perfect Autumn day teaching future Army leaders some of the essential skills they will need as Soldiers. Oct. 27, 2015 - With close to 198,000 Soldiers in the Army Reserve today, your chances of ever being promoted into one of the Army Reserves’ 115 general officer authorizations is less than a percent of a percent. But when you’re Richard Sele, those are good odds to have! Sept. 30, 2015 - On Sept. 28, 2015, Soldiers and family members of the 108th Training Command’s Griffon Association took to the rain soaked course at Pine Island to engage in a friendly competition while raising money for charity at the same time. Sept. 24, 2015 - More than 100 Clemson University Reserve Officer Training Corps cadets at the very beginning of their Army careers got a close-up and personal look at authentic military bearing with a visit from a group of seasoned drill sergeants from the U.S. Army Reserve’s 98th Division (Initial Entry Training) Sept. 3. Sept. 24, 2015 - “It’s just like Kevin Bacon said in 'Animal House,' 'remain calm, all is well,'” said Col. Robert Ashby, deputy chief of Staff, G5, 108th Training Command (IET). “There’s no reason for units to have a mass exodus. 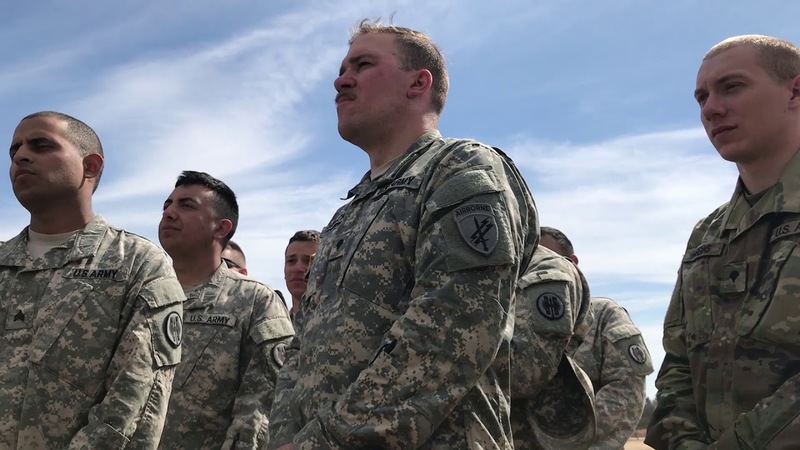 We are doing everything we can, especially for instructors and drill sergeants, to ensure those Soldiers have a position.” That’s the message 108th leadership wants to convey as the command barrels forward toward Headquarters Standardization and Reformation. Sept. 24, 2015 - DARLINGTON, S.C. - ‘It’ has transformed over the years from just a sport to a way of life. ‘It’ has but two simple rules: drive fast, turn left. ‘It’ has its own language: echoed by thousands in just three heart-pumping words: boogity, boogity, boogity! And fans across America argue ‘it’ is the real Great American pastime. Sept. 24, 2015 - In 1972, the Army Reserve selected its first Drill Sergeant of the Year. On Sept. 10, 2015, it chose its 44th. Sept. 24, 2015 - FORT JACKSON, S.C. - From time to time, when you reflect upon your military service there are many people, places and events you may have forgotten. But the one person you will never forget is your drill sergeant. Sept. 24, 2015 - FORT JACKSON, S.C. - Leadership has countless different definitions used by countless different people. But all would agree that good leadership is essential in terms of success for military units. Leadership was the theme at the 108th Training Command (IET) change of command. July 24, 2015 - FORT KNOX, Ky. - Thousands of Reserve and active duty officers, noncommissioned officers and junior enlisted Soldiers assembled at Fort Knox for the second time since the program moved from Joint Base Lewis-McChord, Washington, to execute the largest annual leader training event in the Army; Cadet Summer Training. July 13, 2015 - In 2014, close to 21 million students enrolled in the more than 5,000 undergraduate colleges and universities in the United States. Of that, only 4,591 attend a renowned school over looking the Hudson River in New York. July 13, 2015 - Clemson University research project archives Veterans' stories from WWII to OEF - told in their own words. July 13, 2015 - In April of 1775 a cleric from New England named William Emerson ministered to the minutemen at the Battle of Concord on the North Bridge, thus officially becoming the first chaplain of the Revolutionary War.